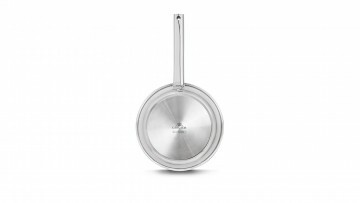 Steel Solid frying pans will help you relax in the kitchen, without the risk of burning your favourite meals. They are made in such a way as to ensure health and safety during intense frying. Cooking healthy and low-calorie meals is easy and enjoyable thanks to the small amount of frying oil or fat required to prepare meals using the Solid pan. 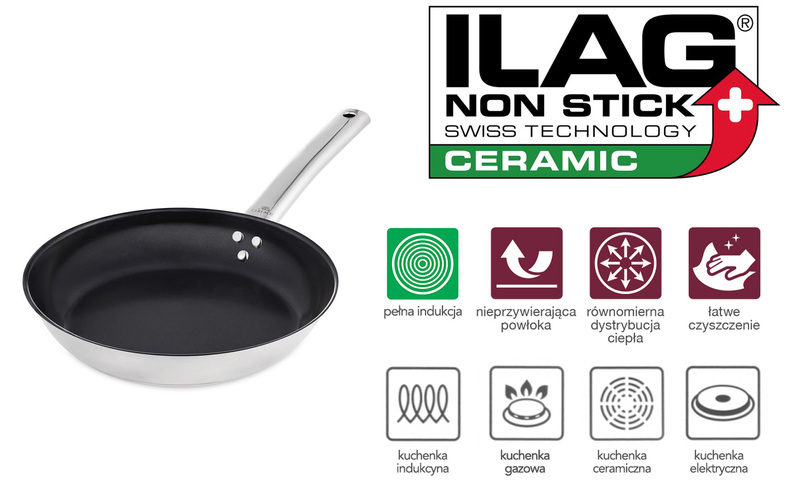 Solid line pans have a three-layer ILAG Ultimate Durit Pro ® non-stick coating strengthened with a ceramic admixture, which is exceptionally hard and resistant to scratches and mechanical damage. Meals do not stick to the bottom of the pan. The product has been designed with the users’ health and safety in mind. ILAG Ultimate Durit Pro does not contain any harmful substances, such as nickel compounds, heavy metals or PFOA. 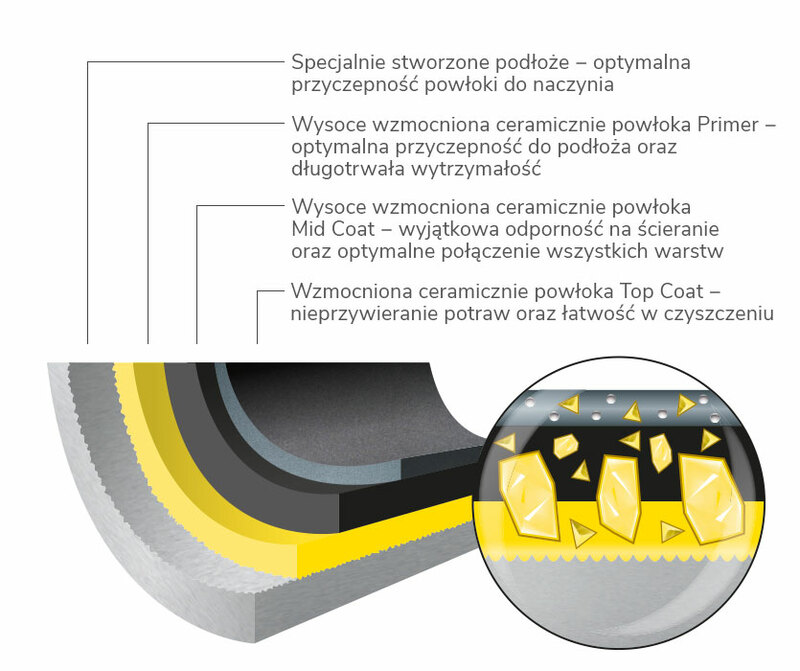 Moreover, this exceptionally non-porous and smooth coating is easy to clean. 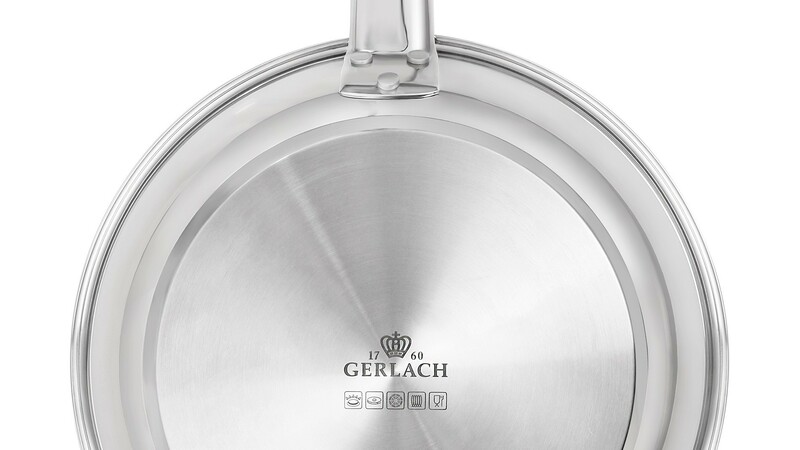 The thick steel base ensures even heat distribution, which impacts cooking efficiency and makes frying shorter and more energy-efficient. 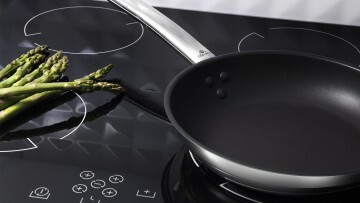 Thanks to the built-in Full Induction technology aluminium disc, the Solid frying pan makes full use of the potential of induction cookers, thus ensuring the faster preparation of meals. Moreover, the product is also suitable for use on other types of cookers, including gas, electric and ceramic cookers, as well as in the oven. The comfortable and ergonomic handle does not heat up and ensures comfort of use during frying at high temperatures.